Over Spring break the CCHS Outdoor Club loaded up the kayaks and headed for Rock Island State Park. 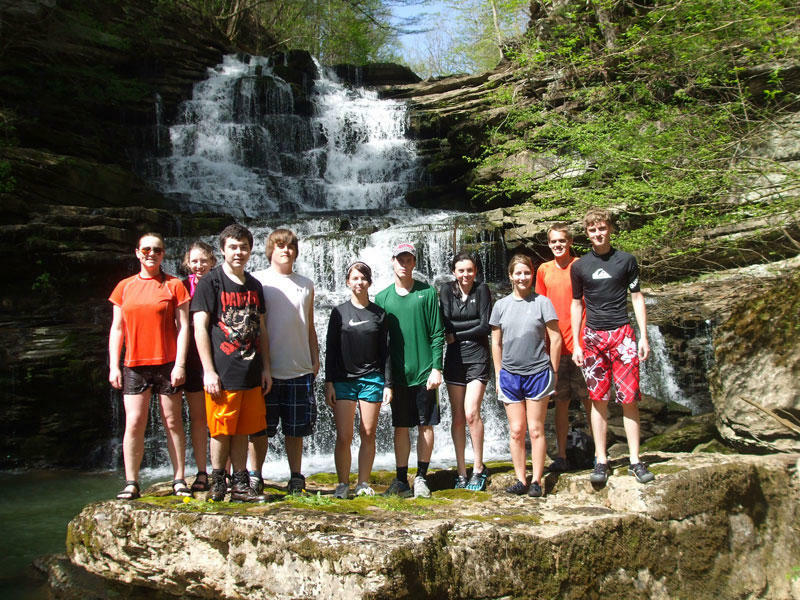 Students paddled on Center Hill lake and hiked up an unknown creek to a beautiful waterfall and swimming hole nestled in a small gorge. Later the group hiked down into the Rock Island Gorge where high water levels provided a spectacular view. Paddlers at the falls included Emory Larson, Chloe Fann, James Young, Justin Davenport, Hope Kingsley, C.J. Hatfield, Hannah Faulkner, Frannie Jenkins, T.J. Paul, Wesley Alexander, Doug King, Marc Larson and Belle.